Those are great questions. As breeders we have always sought to feed our dogs a premium, all natural food that is both nutritious and safe. Outside of genetics, few things impact your dog’s daily health more than proper nutrition. We use Life’s Abundance Dog Food, and are so impressed by the quality and high standards of this food that we recommend the Life’s Abundance Daily Nutritional System with total confidence to all of our puppy parents. Here’s a quick overview of the company. Since 1999, For almost two decades now, Life’s Abundance has been formulating high quality products aimed at improving the health and longevity of companion animals. Their lead formulator is nationally renowned veterinarian Dr. Jane Bicks who is widely respected in the pet industry. She often appears on shows like Animal Planet, Discovery Channel and Good Morning America offering expert advise to millions of pet lovers. She has served as President of the American Veterinarian Association of New York City, has helped establish one of the largest animal shelters in the world, and has also created a non-profit organization that funds rescue and care for pets all across the United States. While there are other quality foods and companies out there – we choose Life’s Abundance because of their dedication to quality, high standards, and exceptional track record. Some products on the market today use ingredients that cause stress on pet’s kidney and liver functions such as wheat, corn, and soy. These are also major allergens to our pets. Life’s Abundance has no such fillers. Take a look at what your dog will be eating. Here is a short video demonstrating why your cost per day to feed your dog Life’s Abundance is actually lower than most major brands, and better in nutritional content. Compare and make your decision. and they have NEVER had a recall! We feed all of our puppies Life’s Abundance because we believe it carries an incredible nutritional advantage backed by science and nature. Not only is it nutritional though, our pups love it! 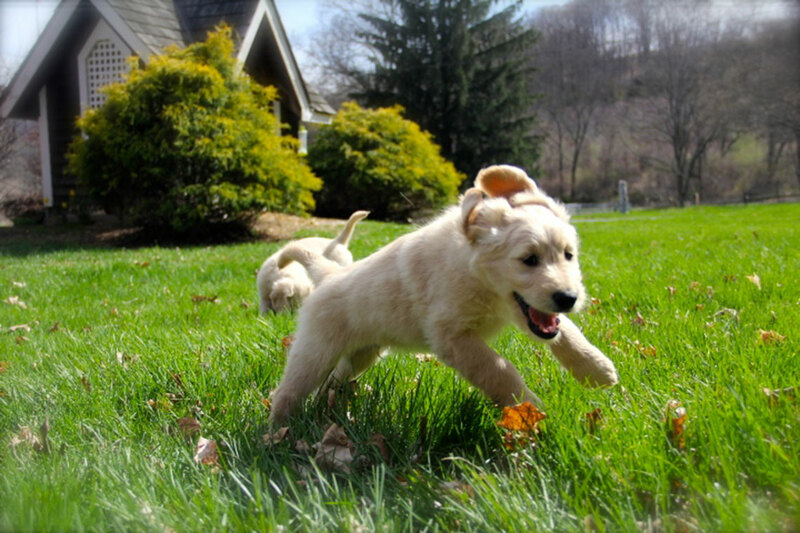 Our puppies begin Life’s Abundance Puppy Food at 3 weeks of age. This product works in tandem with additional nutritional supplements and treats to provide excellent nutrition right out of the gates and into their senior years. When your pet is experiencing health issues, giving them the best veterinary care possible is essential, but preventing is something we, here at Britannia Farms, feel very strongly about! You’ll never regret using a high-quality food with high quality ingredients… and neither will your precious pet! Life’s Abundance dog food and products may be ordered from any location and conveniently shipped to your home. You can also save by using “AutoShip” to qualify for wholesale prices. Or call Life’s Abundance and ask for their Premium Dog Food! Please be sure to order using the code: 20207938 or “Britannia Farms”. Do you have other pets you would like to introduce to this food, or supplements?